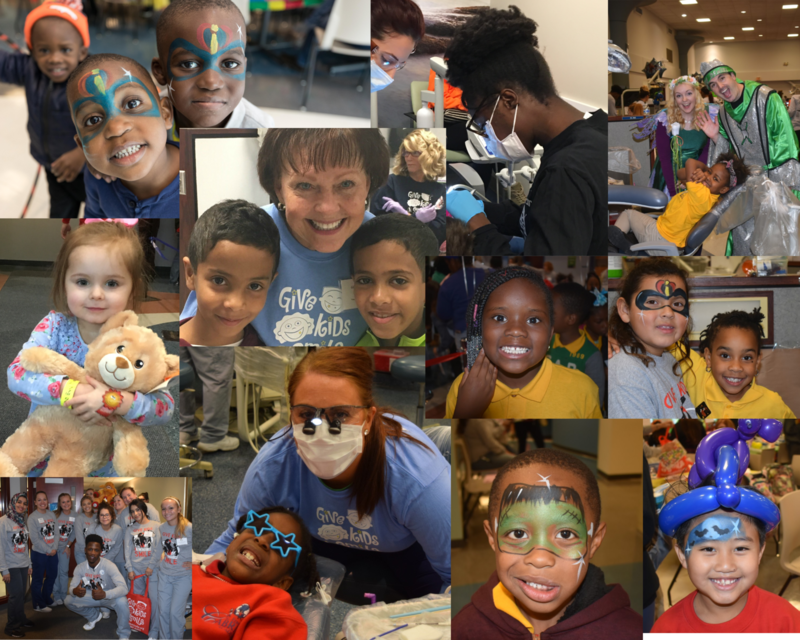 Your donation will help GKAS give kids in need access free dental care. Build Self-Esteem and Big Smiles! No one likes having a tooth ache. Dental problems can be painful and distracting. Until you make it to the dentist and get help, it's hard to think of anything else! If you don't have dental insurance or regular dental care--like thousands of children in our community--untreated pain can go on for days and cause distraction in school, sleep deprivation, sick days and infections that could lead to much more serious health problems, not to mention lack of self-esteem. Fortunately, this is a problem with a simple solution, and you can help! With your support, Give Kids a Smile provides children in need with free, comprehensive dental care. Since 2002, we have served close to 20,000 young patients. Because our dentists and hygienists volunteer their time, we are able to keep costs low, while providing a high value service. Contributions from the community help us reach as many children as possible and provide them with transportation, supplies for home care, and educational materials. Providing free dental care to children in need is one of them. Please respond as generously as you can. In honor of our GKAS Hero Award recipients this year! In honor of Lori Merhoff, whose smile is contagious. My father and brother were dentists in St Louis for a total of 106 years. I'm glad this charity exists. My father and brother were dentists in St Louis for a total of 106 years. It makes me happy to know this charity exists! In fond memory of Katherine Steen. We are making a donation in memory of Kathy Steen- a kind and caring person. May her memory forever be a blessing.